Tracing the international consumption, distribution, and cultural importance of silent film serials in the 1910s and 1920s, Canjels provides an exciting new understanding of the cultural dimension and the cultural transformation and circulation of media forms. Specifically, he demonstrates that the serial film form goes far beyond the well-known American two-reel serial-the cliffhanger. Throughout the book, Canjels focuses on the biggest producers of serials, America, France, and Germany, while imported serials, such as those in the Netherlands, are also examined. This research offers new views on the serial work of well known directors as D.W.
Griffith, Abel Gance, Erich von Stroheim, and Fritz Lang, while foregrounding the importance of lesser known directors such as Louis Feuillade or Joe May. In the early twentieth-century, serial productions were constantly undergoing change and were not merely distributed in their original form upon import. As adjusted serials were present in large quantities or confronted different social spaces, nationalistic feelings and views stimulated by the unrest of World War I and the expanding American film industry could be incorporated and attached to the serial form. Serial productions were not only adaptable to local discourses, they could actively stimulate and interact as well, influencing reception and further film production. By examining the distribution, reception, and cultural contexts of American and European serials in various countries, this cross-cultural research makes both local and global observations. 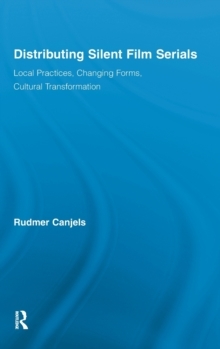 Canjels thus offers a highly relevant case study of transnational, transcultural and transmedia relations.